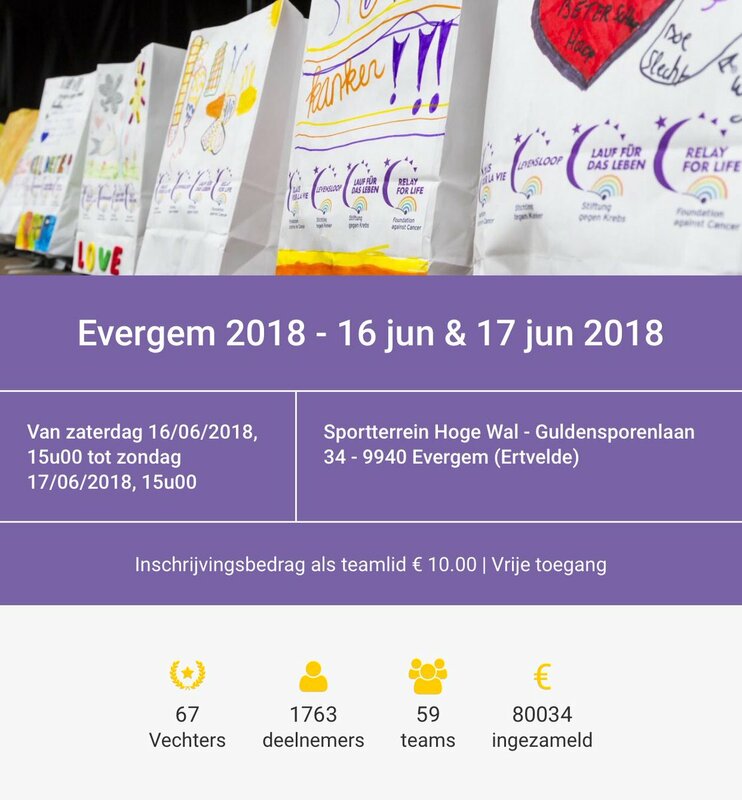 Relay for Life «Evergem 2018» was a huge success! We counted: 82 Survivors, 2375 participants, 61 teams. Thanks to you we raised 148354 euro for the fight against cancer.